Ever wondered what the best route is to drive all your friends home or pick them up? 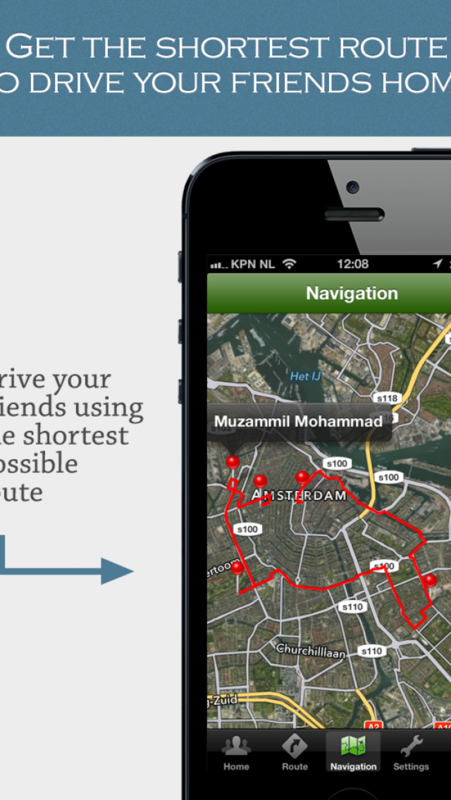 Drive Friends calculates the best route for you! 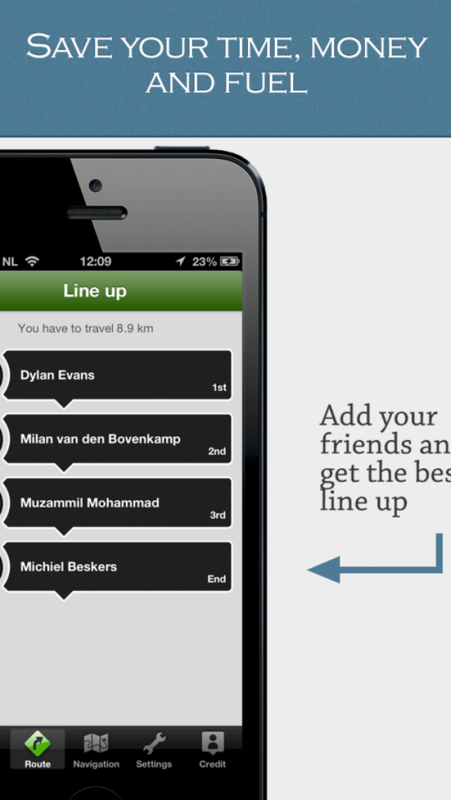 It works simple: just add your friends from your contact list and see the best route possible. Save fuel, time and have more time for fun! "Last night a friend was assigned to drive us home after a party. He dropped us at our homes, but he didn't drive logical at all. I came up with the idea to make an app that chooses the shortest route to bring two of more friends home. This will save you miles, money and in the end protect our environment. The app uses maps to calculate the shortest route to take all your friends home. After adding your friends, the app will show you which sequence is the best to drive your friends home or pick them up at the most profitable way. 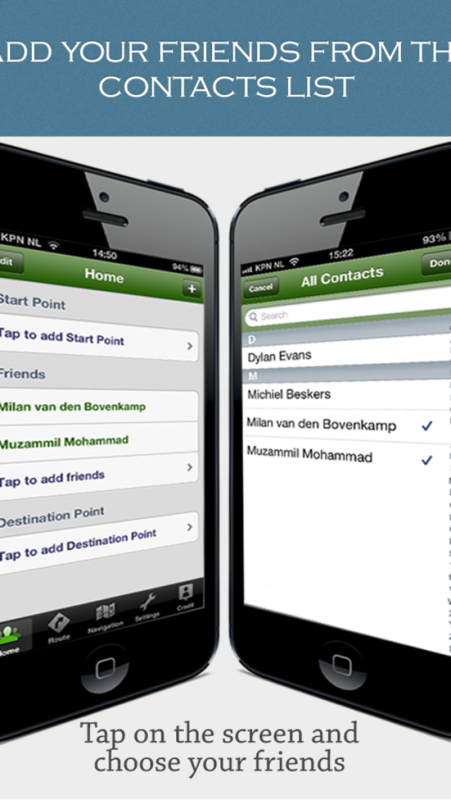 The app uses the addresses of your contacts in your phone address book or you can add your own address, based on maps. After the sequence is shown, there is a option to go to the maps application and navigate the route to your friend's homes." This app works best if you have the full address for your friends. If your friend doesn't have an address in your contact list, you can simply edit the contact from within the app - and add or update the address. Simple!